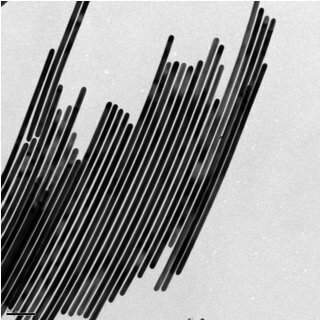 CTAB capped from 1000 to 10000nm in length. Highly protected covalent polymer layer for a wide variety of pH and salt environments. Popular conjugations (amine, biotin, carboxyl, methyl, neutravidin, streptavidin), antibodies, secondary antibody conjugates, and oligos. For use in bright field imaging. Customers can request any covalent or charge induced conjugation including charged polymers and PEG. This product comes completely purified in the buffer chosen at 0.25mg/mL. 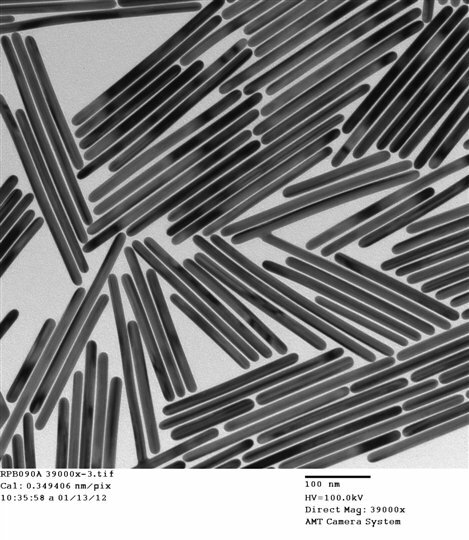 Alkyl thiol and other SAM modified Gold Nanowires for analytical applications. 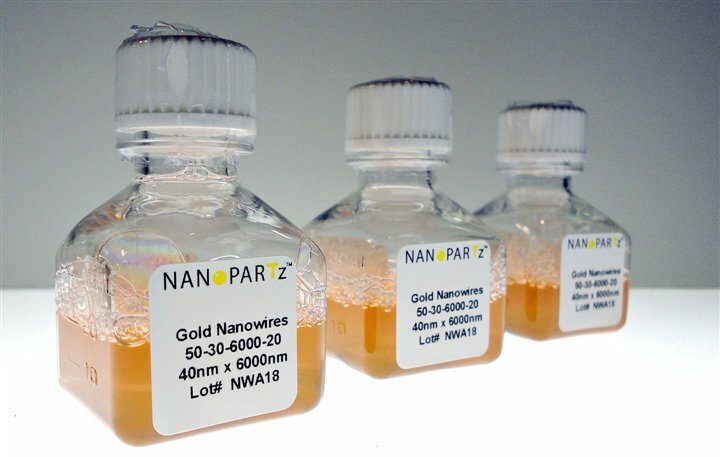 Organic capped gold nanoparticles for use in a wide variety of organic solvents.